Another Thursday, brings another Things I Love Thursday. I hope everyone is having a good week, it is my weekend today, since it’s my only day off for the week. I’m already making progress on my to do list, my apartment is on its way to being clean (well cleaner) and after this post I will be working out! So on to some of the things I love. First off today we have one of my favorite summer time hobbies, laying by the pool. I don’t think life gets much better than that. It’s super hot in Vegas so I try to be the pool as much as possible. This picture is just at my apartment complex, on a nice 80 degree day. Now it’s in the 100s to 110s, so my pool time is spent mostly on a raft in the pool! Another fun thing about Vegas is going to the Ultra pools, it’s like a big pool party with a dj and a lot of mojitos! I enjoy hitting those up every now and then, but for the most part I spend my pool days at my apartment or at friends’ houses. So it may be a little warm in the summer for soup, but sometimes I just can’t help myself. 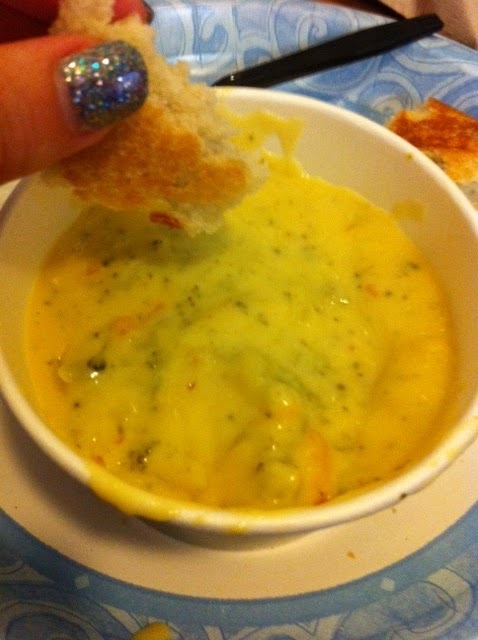 I just LOVE the broccoli cheddar soup from panera bread! It’s so yummy! Especially when you dip their french baguette into the soup! It’s one of my favorite on the go meals! I frequent panera bread wayyy too much! Who doesn’t love Bingo?? 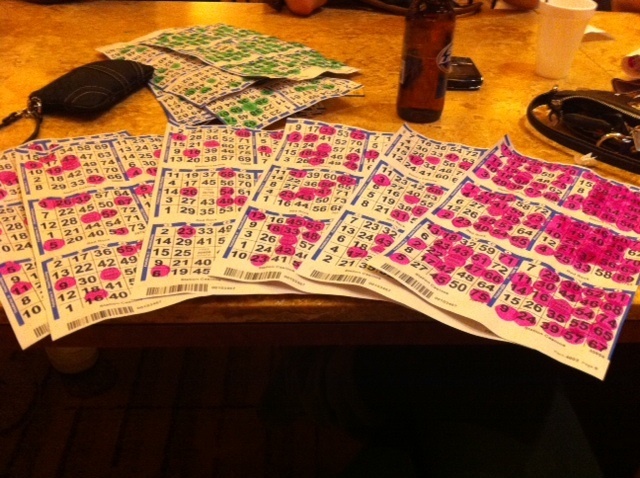 Most people think Bingo is for older folks, but I’m a HUGE fan of Bingo! You have 6 cards going at once and you can choose to mark your cards yourself or get an electronic machine that does it for you. If you get the electronic machine then you can have many more games going at once. I prefer to mark my own cards because I have so much fun with it! And the big plus to bingo is if you just make low bets (like me) you pay $6, you have a lot of fun and you get FREE drinks! I really don’t think you can go wrong with that! If you’re playing on the weekends go as late as possible, because the older folks will be asleep! I’m really looking forward to my post tomorrow. I had a great food truck lunch today and can’t wait to tell you about it for food truck friday tomorrow! !